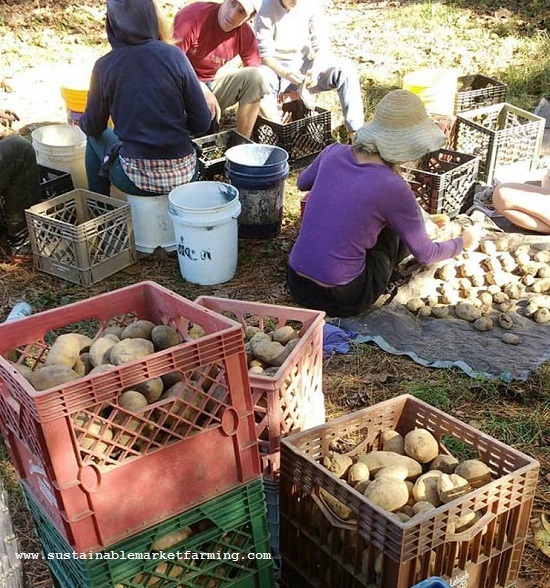 We harvested our March-planted potatoes 21 days ago, and we are in the process of sorting them and managing conditions in our root cellar to cure the potatoes and help them store well. Gather crates. We store our potatoes in open plastic crates on plastic pallets, which allow ventilation but not rotting or holding of fungal spores. Like most root vegetables, potatoes store better if they are not washed before storage. In summer we stack the crates of harvested potatoes under tree near the cellar the first night, to lose some heat. At dusk, we cover them with a tarp to keep dew off and keep them dry. At 6 or 7 am next day, we put the crates in the cellar and close the door. Store in a moist, completely dark cellar, avoiding excess moisture. After the harvest, the potatoes need a surprisingly warm temperature, 60-75°F (15-25C) with good ventilation, for two weeks of curing. This allows the skins to toughen up, cut surfaces to heal over, and some of the sugars to convert to the more storable starches. Wounds do not heal below 50F (10C). Air at night if nights are mild and days too warm. Try hard to avoid having the cellar cool down, then warm up. This causes the potatoes to sprout. Ventilate more if it is damp in there. After two weeks, the potatoes need sorting to remove Use First and Compost ones, keeping the varieties separate. 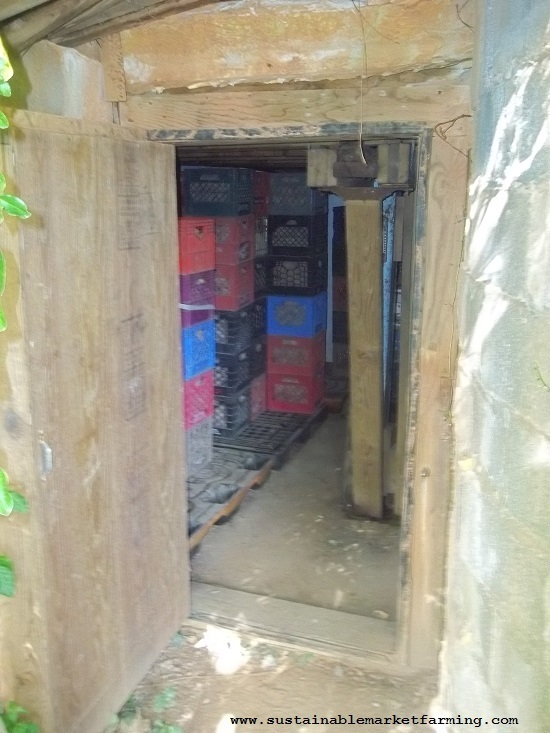 Usually we bring the crates out to the top of the cellar steps in rotation. We gather buckets, rags, gloves. It’s important to do this 14-21days after harvest, and not leave it longer, to minimize the spread of rot. We find that if we do this one sorting after two weeks, we don’t need to check them any more after that – pretty much anything that was going to rot has already done so. Very little additional rotting occurs after a two week curing and sorting. If left unsorted for longer, rot does spread. If we sort too soon, we miss some potatoes with tiny bad spots, and need a second sorting. Restack the crates in the cellar, remembering to leave an airspace between crates and walls. 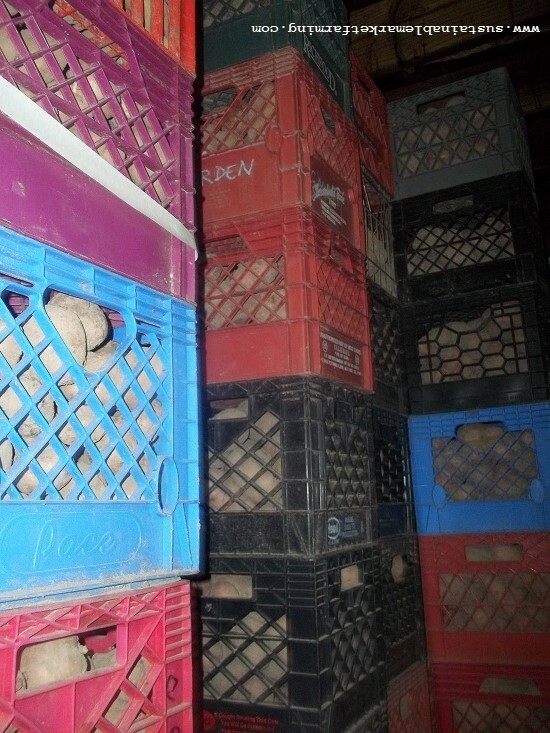 Crates of potatoes in our root cellar. For weeks 2-4, the temperature goal is 50°F (10C), ventilation is needed about once a week. Avoid wildly fluctuating temperatures, as the stress can cause “physiological aging” which among other things, inclines the potatoes towards sprouting. Continue to ventilate as needed during times of cool temperatures, to maintain the cellar in the ideal temperature range. Avoid storage much below 40F (5C), as these low temperatures will cause some of the starches in the potatoes to turn to sugars. This gives the potatoes a strange taste, and will cause them to blacken if fried. Potatoes which have become sweet can be brought back to normal flavor by holding them at about 70F/21C for a week or two before using. 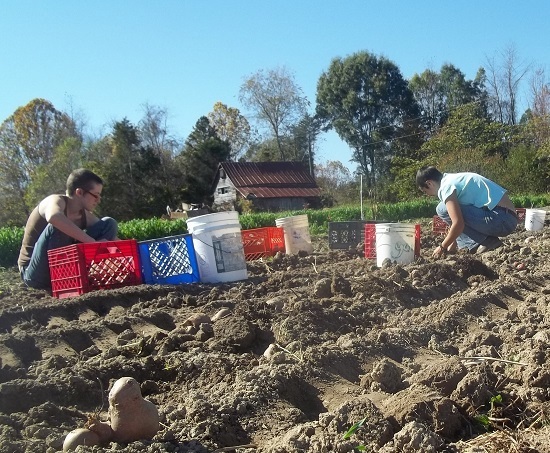 With a good in-ground root cellar, potatoes can be stored for 5-8 months. As a sustainable alternative to refrigerated or electrically cooled storage for crops needing cool damp conditions, traditional root cellars are a good option. Potato crates in our cellar. What I know so far about dormancy is that potatoes need a dormancy period of 4-8 weeks after harvest before they will sprout. So if you plan to dig up an early crop and immediately replant some of the potatoes for a later crop, take this into account. Get around this problem by refrigerating them for 16 days, then chitting them in the light for 2 weeks. The company of apples, bananas or onions will help them sprout by emitting ethylene. To avoid sprouting, keep the potatoes below 50F (10C) once they are more than a month from harvest, avoid excess moisture, and avoid “physiological aging” of the potatoes, caused by stressing them with fluctuating temperatures, among other things. The rate of growth of sprouts on potatoes is directly related to the degree-days above 40F/5C, so storing potatoes above 40F (5C) (for best flavor), clearly runs the risk that at some point they will start sprouting. If eating potatoes do start to develop sprouts, it’s a good idea to rub off the sprouts as soon as possible, because the sprouting process affects the flavor, making them sweet in the same way that low temperatures do. Seed potato pieces after pre-sprouting for planting. If you are storing potatoes for seed, and have good control over the temperature of your cellar, you can manipulate the conditions somewhat to help get best yields. The “physiological age” of the seed tubers affects both the early yield and the final yield. Cold storage conditions – below 40F (5C) keep the seed “young”, which leads to a crop that takes longer to mature. Avoid planting physiologically “young” seed potatoes unless you are prepared to harvest later than usual (or have a lower yield when you bring the crop to an end by mowing). “Old” seed gives an earlier harvest, but perhaps a lower final yield. 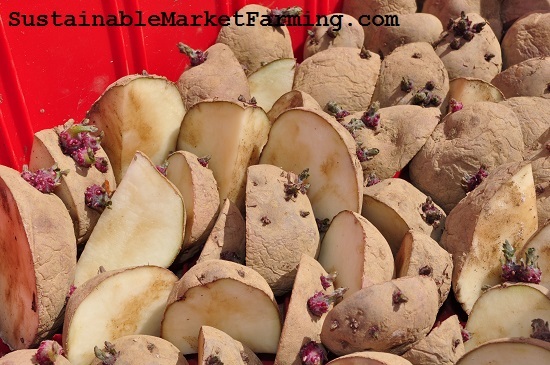 If you will be planting in spring for an early finishing crop, “age” your seed potatoes by storing them at 50F (10C) until two weeks before planting, then harden off at a lower temperature to reduce thermal shock when they reach the soil. “Middle-aged” tubers stored at 40-50F (5-10C) give the highest maincrop yields. When we buy seed potatoes we have no control over the storage conditions before we get them, and probably no information either. The physiological age can be estimated by the length of the longest sprouts on the tubers. The best information I have found about potato storage and sprouting is in a book from the UK: The Complete Know and Grow Vegetables by Bleasdale, Slater and others. I wrote an article about growing potatoes for Growing for Market magazine. I also wrote about root cellars for potatoes and other vegetables in Sustainable Market Farming and forGrowing for Market magazine in November 2008. Storage is not a one-solution-fits-all project. Produce for storage might need to be frozen, refrigerated, cool, warm, moist or dry. Refrigerators and the ingenious CoolBot have their place. 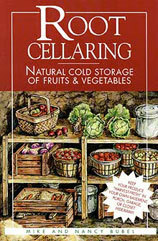 Mike and Nancy Bubel, in their excellent book Root Cellaring identified five different sets of storage requirements. Since their book was published, more evidence suggests that potatoes are better stored at 40-50F (5-10C) than 32-40F (0-5C), and that cucumbers and eggplant, like peppers, are better above 45F (7C). Ethylene. Ripe fruits and actively growing plants (such as sprouting potatoes), emit ethylene, which then promotes more ripening or sprouting. Ethylene-producing crops need to be stored separately from those sensitive to ethylene – vegetables you don’t want to sprout, such as onions and potatoes. Other Vegetables in Cellars. Most other root crops can also be stored in a root cellar. Some people pack the unwashed vegetables in boxes of sand, wood-ash, sawdust or wood chips. Perforated plastic bags are a modern alternative. Whole pepper plants can be hung upside down in the cellar, as can headed greens, like cabbage. Or cabbage can be replanted side by side in boxes or tubs of soil. Celery and leeks can also be stored by replanting in the same way. I’m more of a fan of choosing hardy varieties of leeks and leaving them out in the garden for the winter, but this is zone 7 and people in places with really deep snow or very cold winters might laugh ruefully at that suggestion. Mike and Nancy Bubel Root Cellaring contains great designs and instructions for excavated root cellars, including a two-room version for keeping different crops at different temperatures and humidities. Excavated root cellars are not the only possibility, but they have advantages because the earth insulates the cellar. Because soil is heavy, in-ground cellars must be strongly built, and well drained, so that water does not pool, freeze in winter and crack the walls. The book has details about laying out the site, working with concrete blocks, mixing concrete, making a supported roof, and drainage. This is the title of my newest post on the Mother Earth News Organic Gardening Blog. 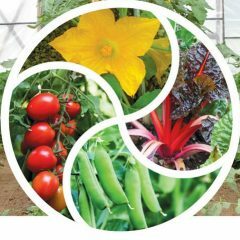 In my previous post I wrote general themes for starting seeds in hot weather. This time I listed 20 specific tricks under categories such as Seed Storage, Sowing Seeds Indoors, Sowing Seeds Outdoors, Watering, Soaking Seeds, Pre-sprouting and Fluid Sowing. 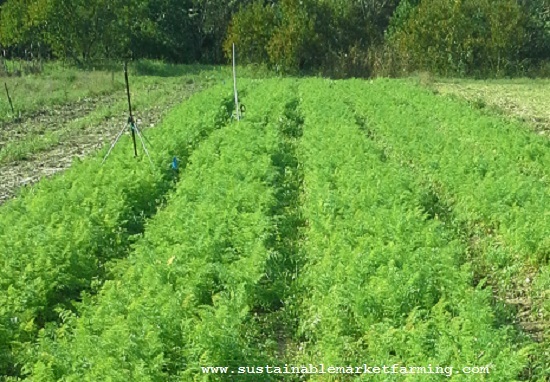 Good irrigation is important for successful carrot growing in hot weather.